The city of Bristol and aviation go hand in hand, from the fragile, kite-like box kite to the raw power and elegance of Concorde it’s legacy is extraordinary. The Bristol Aeroplane company too, has rightfully earned an important place in the aviation history books, designing a number of iconic machines throughout the 20th Century. Perhaps one of its most famous designs is an airframe simply known as the “Bristol Fighter” or, more formally, the F.2B. The “Bristfit” as it was colloquially known, is an extraordinary looking machine. It stands tall amongst other Fighters of the day and its fuselage is suspended in-between the two, 39 foot wings. It was powered by the wonderful Rolls-Royce Falcon V12 which produced 275hp, a great deal by 1916 standards. You would be forgiven for walking into a hangar and seeing the Bristol and thinking it had been named ironically, as it certainly has more of the appearance of a lumbering bomber or observation platform than a fighter. Over the years visiting Bristol Fighter veterans have remarked how gentle the collection fly the Bristol Fighter. Watching the aircraft during a display gives an idea of the power of this machine. Quite the opposite was true, much like the Mosquito in WW2, looks can be deceiving and the Bristol was a very effective fighting aircraft. It had a forward firing gun with synchronisation gear alongside a rear mounted Lewis gun, operated by the second crew member. 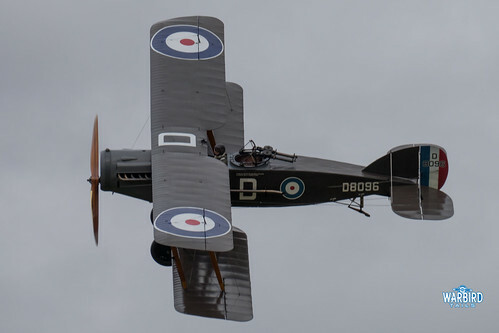 An earlier variant of the type, the F.2A first flew in September 2016, with the first prototype featuring wings from an RAF BE2d. The main development improvement for the F2B was the uprated engine and increased speed. 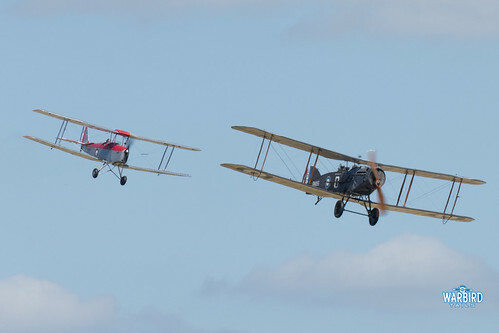 The original F.2A fighters joined the front line in the closing days of 1916 and were gradually replaced by the F2B. Even in the early, less powerful variant of the fighter pilots found the Bristfit a very capable fighter and highly manoeuvrable, easily able to keep up with the single seat fighters of the day. 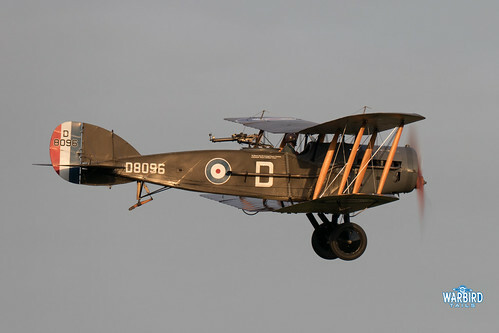 The Shutteworth collection’s Bristol Fighter was built in 1918 and was completed too late for active service in the world. The airframe did see post-war service in Turkey in 1923. 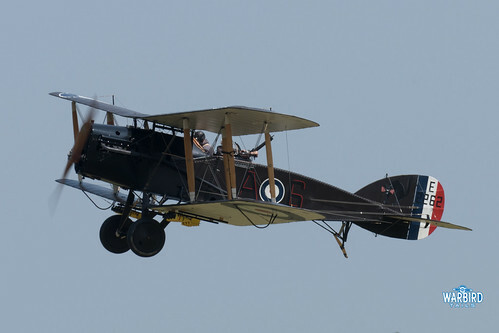 After passing through a number of civilian owners before returning to the Bristol Aeroplane Company in 1952 where it was then passed to the Collection having been restored to flying condition. The fighter gained a newly overhauled engine in 1992 with the original engine remaining overhauled in storage. That original engine is the oldest working Rolls-Royce aero engine, another important part of history. Watching the Fighter fly with the Falcon engine today is both a wonderful sound and sight. This blog also features a shot of the French based example built by the Vintage Aviator Limited in New Zealand. This example is an impressive performer powered by an Hispano-Suiza engine.